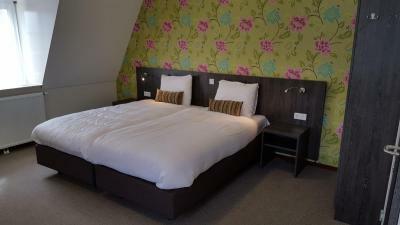 Lock in a great price for Het Hart van Weesp – rated 8.1 by recent guests! This was my second time staying at the Hart Hotel. The staff is very welcoming and very accommodating. Great location - a scenic and shorty walk to the train station. Weesp is a lovely town. Charming town. Delicious breakfast and coffee with a lot of variety. Large room for our family of 5. Easy 5-10 minute walk to train station. The restaurant next door was amazing. We ate there 2 nights in a row. So this hotel is a bit a ways from the main Amsterdam city but so delightful and quiet. there breakfast is amazing though. The hotel was comfortable and clean. The nearby train station made it very easy to get into Amsterdam and to and from the airport. I would highly recommend the hotel! 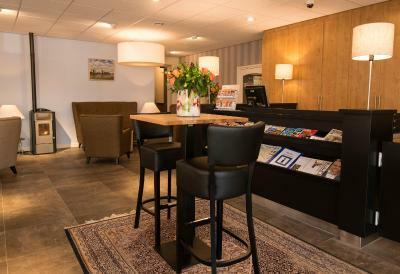 Location - close to office and good Weesp cafes. Close to train station. best hotel breakfast ever, worth waking up earlier for. free public parking right outside, centre of the small town, located alongside a canal. fantastic for cycling into Amsterdam. The village of Weesp was very surprising and very quaint. We really enjoyed the peacefulness and walking the quiet streets. close to train station. easier to commute to amsterdam central. parking at the facility. cleanliness was top notch. breakfast was amazing. Het Hart van Weesp This rating is a reflection of how the property compares to the industry standard when it comes to price, facilities and services available. It's based on a self-evaluation by the property. Use this rating to help choose your stay! 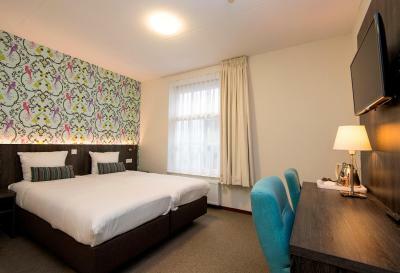 Het Hart van Weesp is located in the historic city center of Weesp, within easy reach of shops and restaurants. There is free Wi-Fi and free parking at the hotel. The train station of Weesp is a 7-minute walk away. From here you can reach Amsterdam center in 15 minutes and Schiphol Airport in 30 minutes. Hilversum and Utrecht are easily reached as well. 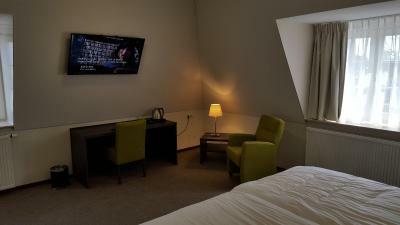 The rooms have a private bathroom and are cozy in style. 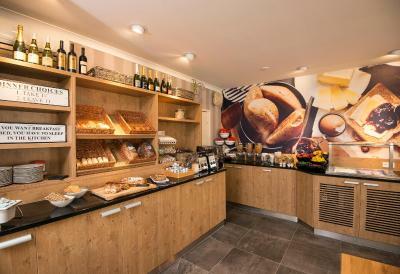 Breakfast is available in the breakfast room. Het Hart van Weesp has a terrace on the south and a bar. Lunch packages are available. 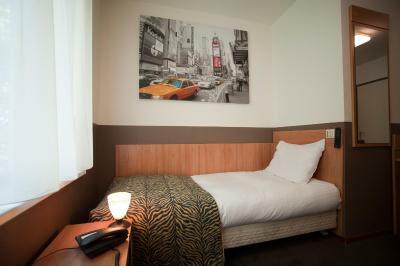 When would you like to stay at Het Hart van Weesp? 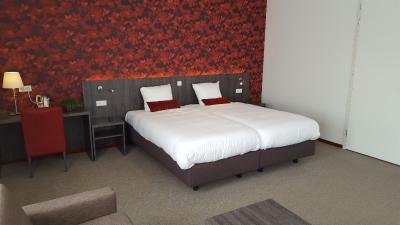 This two-person room has a double bed. House Rules Het Hart van Weesp takes special requests – add in the next step! Het Hart van Weesp accepts these cards and reserves the right to temporarily hold an amount prior to arrival. Please note that a baby cot is available upon request for an additional costs of EUR 5. When traveling with dogs, please note that an extra charge per pet per night of EUR 7.50 applies. Please inform the property about dogs via the Special Requests box during reservation. Please note that a maximum of one dog is allowed per room. The room was near the main road and traffic pass by even at 01:00 no Kettle to make a drink. The room were perfect, clean spacious and well looked after. They may have forgotten to put a little cup or glass in the room. Good location with a nice cafe very close. No problem to bring dog (but 15 euro) and quiet room with comfortable bathroom. Friendly staff, lovely breakfast and location is great. It far from Amsterdam and other cities. Amazing location. It was great to stay in the midst of the local crowd. You can hear your neighbors and our room was cold! 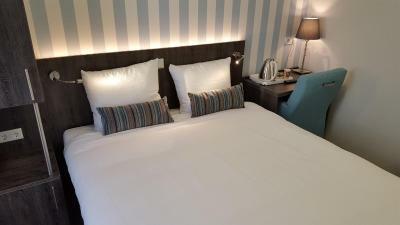 Everything was great, clean, very nice, very nice staff, close to the train station and the town is very pretty so is worth taking a walk around and enjoy the landscape. I recommend having the breakfast there, really good one! And also there is a bar right next to it that is really nice to go for a late beer. 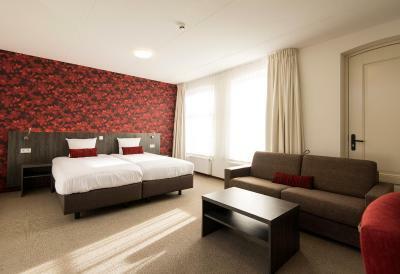 Hotel is located in the center of Weesp, 10 minutes walk from the railway station, where go trains to Amsterdam Centraal and Shiphol Airport. (It takes 20-30 minutes to get to the center or to the airport and costs cca 5 euros.) 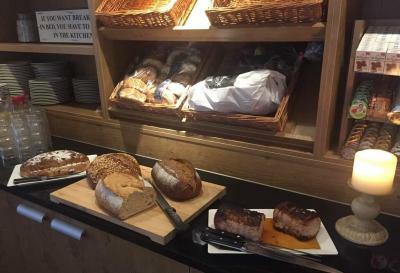 Breakfast was very nice, staff was very kind. the rooms need do not disturb sign for the door. I have stayed in this hotel a few times. it is always very clean with easy check in/out. Very nice breakfast and coffee. 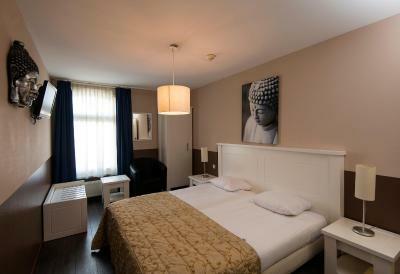 Super location with Veesp and the station is only a 10 min walk with easy trains to Amsterdam central and the airport. I will choose this hotel again. Breakfast was absolutely amazing. Buttery croissants, good assortment of cheese and ham, hot drinks, delicious bacon and scrambled eggs and a super efficient lady that was clearing up the tables and making sure everything was available at all times. 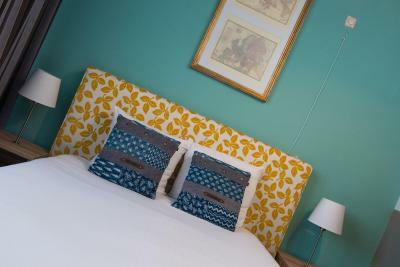 Great location, nice tidy rooms, friendly staff. 15 minutes train to Amsterdam central. Well worth money spent. In the rooms we had no possibility of making our selves a cup of tea or coffee, no glasses, cups or kettle, and when we approached the staff, we've been given just a kettle that clearly was not used for years........and we had to forget about the idea of enjoying a cup of tea in the room. Other than that ,the staff were great , and very helpful. The location and surroundings are absolutely astonishing. The people are very friendly, easy to get to Amsterdam central ,only 20 minutes by sprinter NS train, and good connections in the area.